At Rancho Gold & Jewelry, every one of our customers receives an educational, free jewelry appraisal. Our expert staff will sort through your unused or unwanted jewelry to evaluate your items at no cost to you. We offer our clients the accurate and fair evaluations. We believe that when selling, you are entitled to understanding your jewelry’s true value! 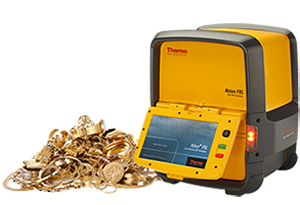 You can trust each of your precious items will be appraised and valued accurately thanks to our 45 years of combined experience and our state of the art equipment. Rest assured that Rancho Gold & Jewelry will take the time to accurately evaluate your precious heirlooms, whether they are gold, silver, or platinum. Why choose Rancho Gold & Jewelry to appraise your jewelry and hidden treasures? Our customers return time and time again because of our personable customer service and our attention to detail. Everyone who visits our store has different items, different questions, and different needs. The decision to sell jewelry, precious metals, diamonds, and other items is a personal one. We realize that your belongings may have great sentimental value. Therefore, the service you receive should be just as personal and discrete as it is dedicated to a fair and trustworthy customer interaction. We are professional buyers with many years of experience in jewelry evaluation and pricing. Through those years of professional excellence, we have developed a strong commitment to providing the most personable and knowledgeable customer service. It is our commitment to get to know our customers as well as we know our trade! We diligently stay up to date on the current gold and silver prices, as well as current industry trends, because we love what we do. It is our promise to ask and answer your questions, evaluate your items, and assist you however we can. When you decide to sell your jewelry, or want to determine the value of an heirloom, choose the very best customer experience. Choose Rancho Gold & Jewelry today to receive your free jewelry appraisal!